I was just a teenager when I met Yeshua for the first time. Even after growing up in a devoted Jewish home, I was hungry for more of God. After months of seeking, I had an incredible encounter with Messiah, and from that point on, everything about my faith was different. The Jewish holidays I had grown up with took on new significance. All the customs and teachings were suddenly vibrant. Illuminating my faith with the life and ministry of Messiah was like watching TV in HD for the first time! My testimony is a story I tell often, because it so powerfully illustrates the importance of a full, contextual understanding of God’s Word. When we connect the old with the new, we can experience the entirety of our inheritance, as God intended! The Weekly Torah Reading is one powerful way to partake in God’s abundant plans for His children. Curious how connecting with your Jewish roots can impact you? Here are a few of the most important reasons to read the Torah. Worshipping the Lord begins with the heart, but it must involve the mind as well. We are called to love God with our entire selves! When asked which of the commandments in the Torah was the greatest, Yeshua responded, “You shall love Adonai your God with all your heart, and with all your soul, and with all your mind” (Matt 22:37, Deuteronomy 6:4). Where do we start the journey of loving God with our whole selves? Worshipping the Lord with our entire being starts with knowing Him through His Word, the Torah. The word for “disciple” in both Hebrew and Greek literally means learner or student. To become a true disciple of Messiah, we must demonstrate our love for God through learning His teachings as rooted in the Torah and scripture in general. This is what it means to be a disciple: When we begin to understand who God is and all He’s done throughout the narrative of scripture, our hearts will grow in love for Him. The weekly Torah reading cycle symbolically represents the spiritual journey that Bnei-Yisrael, which means the Children of Israel, has been on throughout the generations to enter into the fullness of the God’s covenantal blessings and promises. God’s covenantal promises to Abraham were passed on to Isaac, then to Isaac’s son, Jacob, and subsequently to the Children of Israel. But it took four hundred of years of slavery in Egypt, forty years wandering in the wilderness, and seven years of conquest under Joshua before they saw the initial promise to Abraham even partially fulfilled. Why so long? One reason is that God’s promises cannot be obtained apart from a spiritual process. The process prepares us to receive the promises by purifying, sanctifying, and strengthening us. The Torah reading cycle symbolically represents this spiritual journey that Bnei-Yisrael has been on throughout the generations to enter into the fullness of the God’s covenantal promises. Through participating in the weekly Torah reading, we embark on this journey with all of Israel and experience the process of transformation along with them. This transformative journey was never meant to be limited to Bnei-Yisrael alone, for through Messiah Yeshua, Gentile believers have been “grafted in” and become the Children of Abraham by faith (Ephesians 2:12-13 & Gal. 3:7-8). As such, all true spiritual sons and daughters of Abraham have become partakers of the promises to Israel and are called to journey with their Messianic Jewish sisters and brothers to ignite transformation and prepare the way for the Messiah’s return! Not only does reading the Torah ignite transformation in our lives through the renewing of our mind, but it also unites us as a people. In fact, real, enduring transformation and unification are inextricably bound. This is seen with the giving of Torah itself. In Exodus 19:2, just before receiving the Torah, the Jews had finally reached a point of true oneness. Rashi, a famous Jewish commentator, writes, “They were in a state of total unity, as if they were one person with one heart.” The process of God’s loving redemption from Egypt created in His people a transformation and subsequent unification. 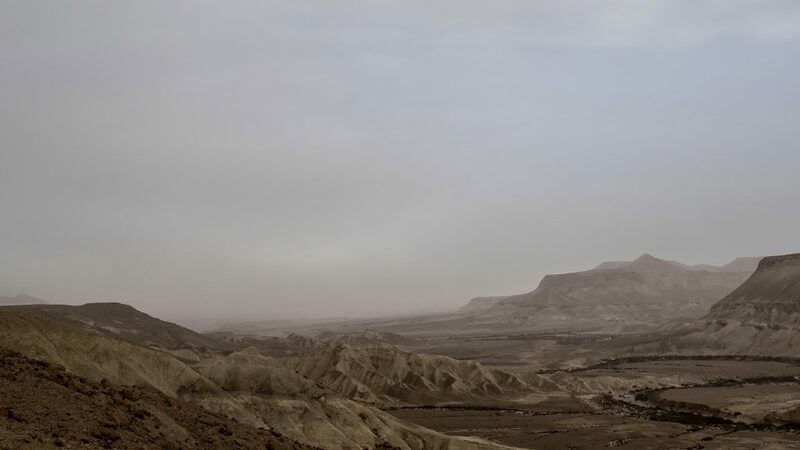 This reading of the text underscores the fact that God’s manifest Presence and the revelation of Torah is inseparably connected to the unity of God’s people. In the same way that Torah has united Israel, the reading of the weekly Torah portion has the power to foster greater connection and unity between Israel and the nations. God gave both the Torah and Spirit on the same day, Shavuot, in both the Old and New Testament, but did not do so until the people were united (Exodus 19:2 & Acts 2:1-2). Since God’s Presence, power, and provision is always proportional to the unity of His people, this is no small matter. Israel and the Nations must unite for the sake of Kingdom transformation! The weekly Torah reading is a great means for helping to make this unity a reality. Was the weekly Torah reading, which was introduced by Ezra the Scribe after the return of the exiles from Babylon (see Nehemiah 8), important to Yeshua and his disciples? In order to truly grasp Messiah’s identity, we must understand His Jewish roots, which are powerfully reflected in His ministry. Our Messiah’s public ministry began, as described in the Gospel of Luke 4:14-21, with His being called up to a public Torah reading. If the Torah reading was central to the worship of Yeshua and His first century followers, should it not be central to our worship as well? Curious how Yeshua and His followers would have read the Torah? To learn more about the Jewish approach for Torah reading, click here. In Matthew 13:52, Yeshua said, “Therefore every Torah scholar discipled for the kingdom of heaven is like the master of a household who brings out of his treasure both new things and old.” We should never neglect the old for the sake of the new, or vice versa. All are God’s priceless possessions, neither one more or less valuable than the other. However, together, their value increases dramatically! Why settle for half an inheritance? By engaging in the weekly Torah reading, we help to unite Old and New Testaments, connect to the roots of our faith, increase our biblical literacy, follow Messiah’s example, and experience spiritual transformation. If you’d like to join us in engaging with the fullness of God’s Word together, start by signing up for our weekly Torah Portion emails. Each Thursday, I’ll send an email with a reading summary for that week’s Torah reading, along with commentary that connects the reading to a life with Messiah. I encourage you to take the journey for yourself and experience the full blessing God has for you!